The Seals Inlander kayak spray skirt is the perfect skirt for light duty conditions. Constructed with medium-weight coated pack cloth, double-stitched and sealed seams and and adjustable waistband. Bought a size 7 from my Perception Swifty DLX 9.5. Fits the large- sized cockpit perfectly. Works well on class 1 and 2 river rapids. You can put it on by yourself in the boat if you're fairly limber. Slip it over your PFD, reach behind and hook it on the back lip of the cockpit, then work it around to the front. It's a stretch but can be done. With my Dagger Axis 12.0, the Seals Inlander 2.2 won't fit over me with the seat back in the up position. It works great with the seat back down, but it'd be nice to be able to adjust the seat through the full range and still fit the skirt over it. After a couple hours with the seat in the lowest position, my lower back starts to hurt. I can use the skirt with the seat up as a half-skirt to still keep a lot of water off my lap, but with the coaming not completely sealed off behind me, I can get a little wet down my sides and back. Great skirt for the money. Fit guide was accurate. Performs well. Nice skirt for the price. For colder weather, keeps the splashes out and the legs a little warmer. Not super tight around my torso like a neoprene skit so some waves can give you some seepage there. Perfect recreational skirt. Great skirt! Fits our old town kayak perfectly. Quick Shipping. Best value spray skirt IMO. Fits great. High quality and made in the US! Good fit and quality. Waistband a little tight(I'm a size 34). Yes, I would recommend the skirt! Only used it once but it had a good seal and kept the water out. The skirt is great it fits my Magnum 80 perfect easy to put on and easy pull off. I have not tried to roll in it the water here is too col but it didn't leak a drop in pouring down rain and creak water splashing all over it. I'm completely satisfied. I bought a size 7 for my Pungo. Good product but it needed modification inorder to fit over my PFD and thus over the back of the seat. I wear a size 42 jacket, so if you are larger, do not get this skirt. It will not fit you without some work on it. I received the spray skirt in a timely fashion and it fit perfectly. This is a well made product at a good price. Used it on the LLano river fly fishing at Octoborfisch. Ive used spray skirts while white water kayaking in Washington, but fishing from a SINK was new. It performed quite well. The added benefit being it made a great stripping basket. LOVE IT! It keeps all water out. The only problem Ive had with it is the opening for your body. I wish it was a little bigger so that during cold weather, I could wear 5 layers and a life jacket and fit comfortably through the opening. Other than that, it is great! Bought it for my Necky Rip which has a large cockpit. Fits perfect. Had it on the river this past weekend going through some decent rapids. Worked great and only came off when I wanted it to. I bought a size 7. If you really need a skirt and your kayak needs a 7, get another kayak. The cockpit is so large that it is very difficult or impossible to get the skirt on by yourself. The skirt seems to be very well made, though. Works great for the price. Just add some good suspenders for the final touch. ACK is a great company for good prices and quick delivery. I have been recomending them to all my friends. The spray skirt was exactly what I was looking for. Moreover, I was highly impressed by the ACKs efficient and prompt service. I ordered from Europe and received the material in less than one week. Thank you ACK! Very nice. Arrived right on schedule. Great skirt for the money ,fit was perfect and easy to determine in sizing chart. the product that i purchased is intended for light kayaking and I unfortunatly did not know that at the time of purchase if i were to do it over i would just spend the extra cash and buy the neprine skirt but if you are just going to be kayaking the lake or still water than the skirt is perfect. I love this skirt! It is very easy to install and NO water gets in! Great skirt. 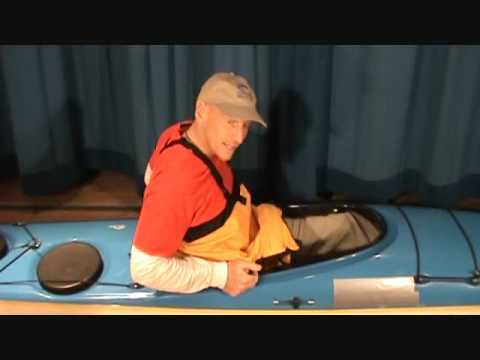 Just to try it out i eskimo rolled my kayak and the skirt held. let a little water in down the back but I was still relatively dry. Great skirt for the recreational kayaker. Skirt is light and cooler than neoprene for lighter duty hot weather use. Will not replace a proper fitting whitewater skirt for serious water but I did not expect that. Fit is good for the boat intended. Overall a good product. The skirt fits like a glove, easy on, easy off and performs well as advertised. Was very happy with this skirt. Kept me dry, went on easy, and fit my boat as it should. Would buy this brand over and over again! This skirt was everything I wanted it to be. It fits my boat perfectly. Its light weight and keeps me dry. Perfect for a light duty skirt. Its fits our Santee 135 boat very well. We look forward to many happy days of paddling. Perfect fit, works better than some twice as expensive skirts. ACK products are the best price and quality. Perfect fit on my Dimension Jolt. With the fit guide, you know you are getting the right sized skirt. Great quality - just what I was looking for. Great price, good fit. Good rec skirt. Lightweight = light duty. The 1.7 fits my Perception Eclipse 17' very well. A little snug in the back but that's because I've adjusted my seat as forward as I can in the kayak--I'm short for my yak. Fits fine. Good quality. Just what I was hoping for when I ordered it. Austin Kayak ships very fast! Thanks. I have used this skirt continuously on my Jackson Rogue. It never fails! Best price around. For a rec skirt, it does a heck of a job, even in a few Class 3's that were encountered on the Delaware. Nice buy. Top quality, excellent fit, great price! Great product for the price. Very snug fit and does keep you dry. This skirt fits very well. The shipping time was unbelievable! Very quick. I will shop here again. This spray skirt is terrific. Easy to put on and works great. I would definitely recommend it. The quality of "Seals" is again apparent in this product. We were concerned the skirt wouldn't fit the oversized cockpit on my wife's Perception Sparky 9.5, but it fit perfectly! And we tried it out on open water a week later, and it worked perfectly. Shipping was very fast. We will return to ACK in the future. Very satisfied. Works great! We love it! The service is incredible. I really enjoyed doing business with this company. I will continue to do business here. Love it! Keeps the cold water out from the paddle drips. Best of all it keeps the spiders and leaves out of the boat when I hit the overhanging river brush. Wonderful Skirt for out on lakes. The fit was perfect and it kept me totally dry. Also nice for fall/spring. Keeps all the wind out and is nice and black so the sun on it keeps you warm! Works well and the price was great. Has kept us dry. The size was right on. Fast delivery! Exactly what I ordered. Good price. Thank you! Too early for me to comment as only tried it on the kayak as a fit which is tight and snug. I will try it now as Fall is enveloping us and the wind blows and I need to stay dryer...Fit is tight and challenging to put on while in kayak. well priced , well made product. Too soon to evaluate as we have not had right conditions to use. Great fit although challenging to put on solo, would definitely recommend. Bought it for a Swifty 9.5. Took it down classII river and it did great! Kept the splash out and stayed dry. Fit great on the kayak also. Great Price. Great product for the price . . . nothing fancy but it does the job of keeping water off the person in the kayak. Easy to put on as well. Bought this for my Emotion Comet Kayak, the size chart was perfect. A good all round product with no obvious floors. I wish the draw string around the body would pull a little tighter thats all. Great skirt for the price. Took two of these out with mine and my wife's kayak on Lake Michigan. Worked great when the waves were coming over the cockpits. Kept us dry where it counts! They stay on the cockpit great, and fit well around the body. Fast shipping was great and personnel on telephone were very helpful. Best price for this standard item. This is the fourth spray skit I've purchased (lots of boats). It performed very well under stormy conditions of 2-3 foot waves. Even though it's not rated for whitewater, it kept me dry. 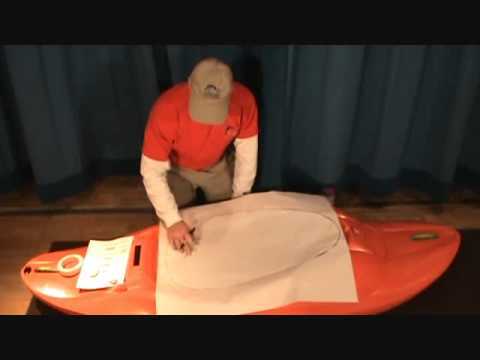 The Seals Inlander Kayak Spray Skirt is of good quality construction and materials. Nice fit for my daughter's kayak. Unfortunately did not fit mine for which it was purchased. Good function for light duty activities. Make sure your size requirements are standard. We like to kayak early in the spring and late in the fall, so it works great for cooler water and rough water kayaking. Fits great. Am very satisfied with this spray skirt. works very well!!! has large pull strap so it easily removes. I liked it so well i bought another for my other kayak. best price and FREE SHIPPING!!!!!!!!! WHAT A DEAL!!!!!!!!!! This skirt fits my yak but I must say it is really only good as a splash guard. Fit is fine but be aware this skirt is just to keep drips out and not even for an extended yak trip. I have this for when I am being lazy and a neoprene for when I am doing anything more than a lazy paddle. The skirt fits tight and it is strong. Bought this to help keep me warm so I could Kayak longer in the season here in Virginia. Fit my Pamlico 120 perfectly. Used it on Smith Mountain Lake with no problems. Can't wait to try it on the James River in the spring. ACK support was superb. Product fit as advertised, bought one for my Dirgio 120 & loon 120- am completely satisfied. Purchased two skirts to keep the sun off our legs and they do the job. These are light duty skirts and not sure how they will hold up in white water. We are very happy with them. I purchased this skirt for my Prodigy 10 and it works great. I am a first time kayaker and took the skirt to use it down the Guadalupe and in and around some local lakes, it is easy enough to take on and off, and provides the protection needed in the rapids. Great product, made well. 5.5 size for the Prodigy 10. I have used my spray skirt on my Old Town Dirigo 120 once in white water , class III rapids and Joanne and I both used them in our crossing from St Andrews Pk to Shell Island in Panama City FL Both trips the skirts did very well. Even though they are designed as calm water skirts they did a great job in white water and a great job in our Bay crossing. Both trips I/we had waves breaking over our boats and the skirts did not come off or leak water. Q: I don't understand your sizing for the kayak skirt, if you could please explain the numbering to me and how that correlates to size I would really appreciate it. Q: I have a Pygmy Pinguino Pro 150, not currently listed... cockpit dimensions are 15.8" x 33" internal, 18.3" x 35.5" external (outer upper coaming lip) - what size skirt would I use? A: The 1.7 should be the size for that 150. Q: Can you roll with this skirt? Q: Product # for a spray skirt for zydeco 9' . Cockpit 38.5x213/4. Q: I have a Wilderness Purgo 100. How do I select the correct skirt size? 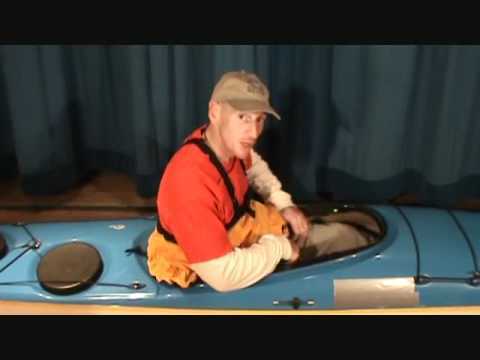 Q: I built a Greenland Kayak. You do not have the size of skirt for my coaming. My coaming is 26" long by 22" wide with a circumference of 74 3/4". Any Ideas what to do? 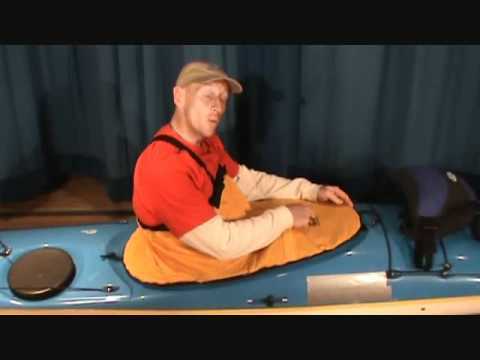 A: Seals does not have a standard skirt for that kayak. It may be possible to get a custom one made. You can contact us at customer@austinkayak.com for more information.